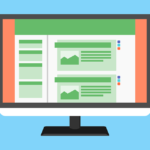 A content management system’s market share can tell you how popular it is among users, its expected growth, and how it compares to its competitors. By monitoring changes in market share by year or even month, you can pinpoint which content management systems have continued to grow since their inception and which are on their way out. Among open-source CMS’, more than 50% of the market share is dedicated to a single platform and growth rates indicate it will continue climbing to reach 60% by next year. 1 Which CMS’ are increasing in market share? 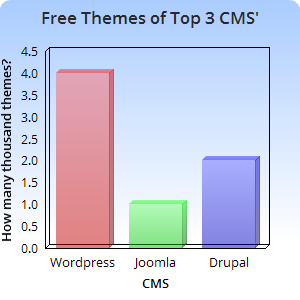 3 Which CMS has the highest market share? 4 Why is WordPress the most popular CMS? 5 Does this mean Joomla and Drupal are obsolete? 7 Why are CMS’ losing the market share battle? 7.1 They are perceived as being outdated. 7.2 They have a higher learning curve. 8 Foreseen Market Share Changes? Which CMS’ are increasing in market share? As far as other content management systems with more than 0.4% market share, we find only a handful that are open-source. This includes Magento, TYPO3, OpenCart, phpBB, DotNetNuke and Prestashop. Most of these had a higher percentage of market share just years ago than they do today. Magento had (2.7%) market share in 2014, with (2.3%) now. TYPO3 had (4.2%) in 2010 and has (1.5%) now. OpenCart had (0.9%) in 2015 and (0.8%) now. PhpBB had (3.1%) in 2010 and (0.4%) now. DotNetNuke had (1.3%) in 2010 and just (0.5%) now. PrestaShop was the only open-source CMS to not decline in market share. In 2013 PrestaShop had (0.9%) and today it has (1.3%). Open-source CMS have been revolutionary to web development. They have empowered businesses by giving startups a simplified way to build a website without the excess costs of custom web design. Their widespread usage is mostly attributed to the fact that they are indeed, open-source. By allowing front-end and back-end developers to have access to the framework of the CMS and the code behind it, they create a community of supporters that actively contribute to its development. WordPress alone boasts over 40,000 free themes and 45,000 free plugins. These are not provided by the WordPress development team themselves but by its community of contributors, demonstrating the power of open-source software development. Through the installation of a theme, administrators of websites powered by a CMS can instantly customize appearance, layout, and website structure without having to touch code like HTML5 or CSS. A theme provides its own options for changing your logo, primary colors, secondary colors, font and more. Plugins add features that were previously not provided. Plugins can be installed to extend website functionality and provide new features to both administrators and users. Plugins are considered the extras of a content management system and are intended to enhance its provided features or add new features to the platform. Plugin features often include extended content management functionality, or customer-facing interfaces. Content management systems have become the new standard in design. When your website is built with a open-source content management system, you have the potential to customize everything without having to dip your toes into the complexities of programming. Many businesses today are powered by just the free resources that are available with their content management system. However, that’s not to say that paid resources aren’t worth their dollar. Independently developed themes and plugins can significantly improve your website and are sold at a one-time or recurring cost. 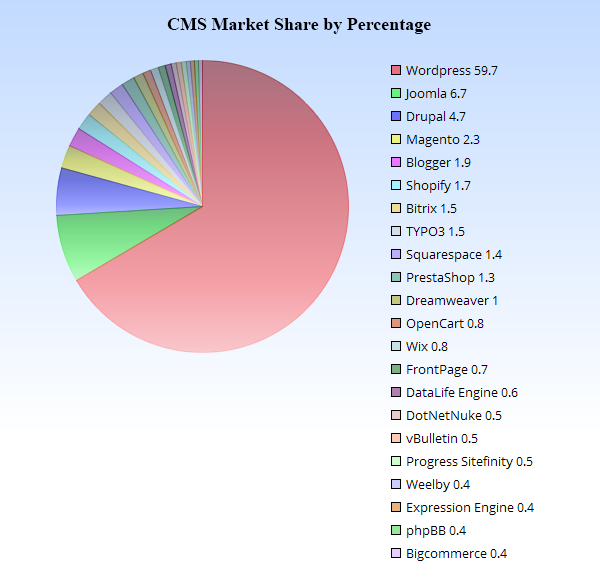 Which CMS has the highest market share? WordPress ranks at the top for more than just its free themes and plugins. It has more than half the market share (59.7%) with the next closest open-source CMS being Joomla at a mere (6.7%), a number that has steadily declined over the last few years as WordPress’ popularity increases. Drupal is facing similar decline and ranks as the 3rd highest open-source CMS in terms of market share, having once had over 7% in 2010 but now at (4.7%). Many of the open-source content management systems that are in direct competition with WordPress and were around either before or at the beginning of WordPress’ development are now in decline. This is evident with the reduction in market share seen in both Joomla and Drupal and it holds true with other competing content management systems as well. Why is WordPress the most popular CMS? WordPress’ dominance as an open-source content management system can be pinpointed to its enormous user-base. In total, there are over 74,500,000 websites using WordPress, with about half of these hosted as a free solution at WordPress.com. Self-hosted WordPress installations may not seem as massive, accounting for about 19% of all websites on the internet. However, when you consider that WordPress’ self-hosted solution at WordPress.org has been downloaded an astonishing 46 million times and that 22% of all newly registered U.S. domains will run WordPress, it’s clear that that it has become a preferred CMS for developers. 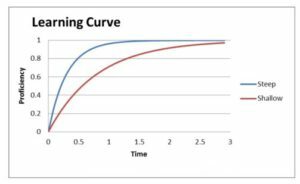 WordPress’ biggest advantage is its learning curve. What started as a blogging platform has progressed into something far more robust but it has maintained its simplistic nature. WordPress can be setup and customized in a matter of minutes with new blog posts, webpage content, contact forms and thanks to plugins that offer drag-and-drop style page builders, even elaborate landing pages. Building great looking websites has become a much easier process with WordPress and that is where the CMS truly shines. Does this mean Joomla and Drupal are obsolete? 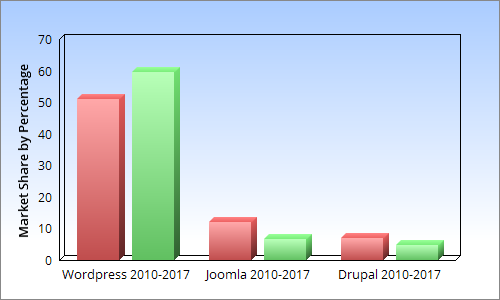 Joomla and Drupal’s reduction in market share doesn’t necessarily reflect the quality of their software. It may just be a barrier to entry issue. Their higher learning curve has likely caused newcomers of web development to seek out a platform that’s more forgiving and less technical. Joomla and Drupal are content management systems that appeal to different audiences than their biggest contender, WordPress. Both are slightly more complicated but can be better suited for complex websites. If you intend to run a large community-based site, Joomla is the clear champion with integrated permission levels for specific user groups and social networking features out-of-the-box. Drupal, on the other hand, is ideal for large websites that process lots of data. It’s often the chosen CMS for institutions, universities, government and media-based websites. It’s very stable for high traffic sites and it has an extensive plugin library allowing developers to use the platform for a wide variety of purposes. Why are CMS’ losing the market share battle? 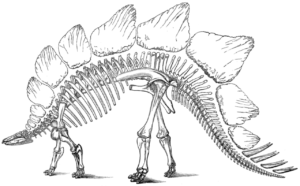 They are perceived as being outdated. One of the major trends in the content management systems that declined in market share is that they have been around for some time. They don’t have the hype of a fresh upbringing behind them and they’re losing ground to their big brother, WordPress. Regardless of when their last update was, if the CMS isn’t generating new interest, it’s being viewed as outdated. PrestaShop had its first major release in 2014. Compare this to the release of Magento in 2007 which is the newest of the bunch, TYPO3 in 1998, OpenCart in 1999, phpBB in 2000 and DotNetNuke in 2003. These older platforms don’t have the marketing ability that a newer, more modern release can bring. Newer platforms are being seen as an upgrade to their outdated competitors. This is evident in the case of PrestaShop, where its increase in market share has resulted in a decrease in market share for Magento. They have a higher learning curve. One of the main reasons WordPress has been so successful is its small learning curve. riddled with bugs that leave users feeling frustrated. 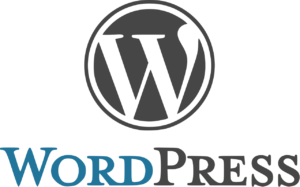 The development team behind WordPress did an excellent job of demonstrating its ease of use by launching WordPress.com. This allowed users to signup and receive a free subdomain with WordPress installed. Anyone who was curious about their software could start exploring its features with no finances or time invested. If you weren’t quite ready for a self-hosted WordPress site, you were still able to get your hands on the CMS that so many had been talking about. When you explore the features of Prestashop, there is one thing that immediately stands out. It’s specialized. It powers your eCommerce site and it does it well. It’s targeted toward store owners and it has all the features you would expect. An open-source CMS that doesn’t take this approach won’t appeal to a unique type of user. They cast a wider net in hopes of attracting a bigger audience but these users already have dependable and trustworthy platforms in WordPress, Joomla or Drupal. The biggest changes in market share will happen for the content management systems that are currently below the threshold of what we have discussed here. These are the newcomers to the open-source CMS market. As they compete to make a name for themselves, there will be many CMS’ below 0.4% market share that gradually climb the charts. WordPress will likely reach 60% market share within the coming months and Joomla, Drupal and Magento will continue to decline. Growth rates indicate that smaller, more precise content management systems have the highest likelihood of making an impact in market share. OpenSourceCMS.com is a central resource for all things related to Open Source CMS and gives you the opportunity to “try out” most of the best Open Source CMS tools in the world without marketing fluff or sales people.